Happy Wednesday! Hope you are having a great week and lucky for us it's half way through. If you saw yesterday's post, then you know I am in a major Easter mood. 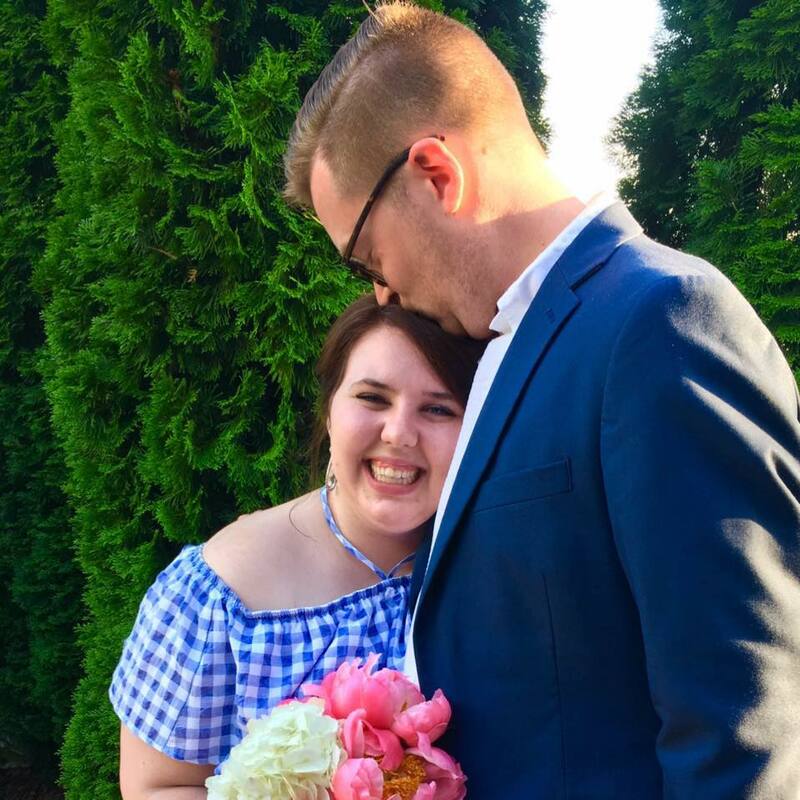 Today I'm sharing a cocktail that is totally inspired by my mother. She LOVES Peeps and the Easter season. 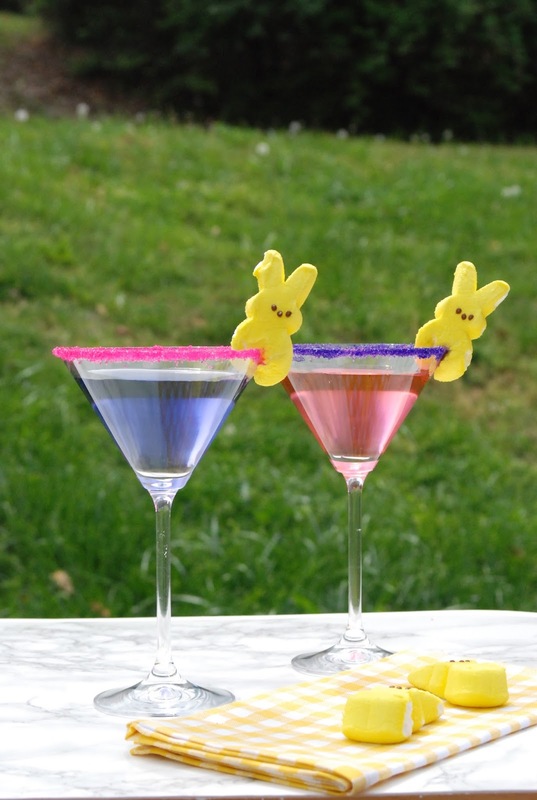 Since she loves Peeps so much, I wanted to make a cocktail that can go along with Easter brunch, but also good enough for people who aren't totally in love with Peeps too. The recipe is rather simple since most martinis are basically vodka. For this particularly pretty pastel cocktail, you need Marshmallow vodka, Vanilla vodka, and ice. See, easy enough! 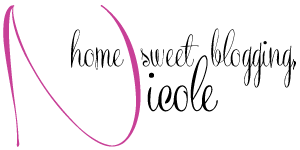 First, wet the rim of the martini glass, then dip into the sanding sugar in pastel colors. Use a shallow bowl or plate to make it way easier on yourself. Next, in a cocktail shaker, add as much Marshmallow and Vanilla vodka as you want over ice. If desired, you can add a vanilla syrup to really punch up that side of the drink. Shake and pour into the glass being careful not to hit the sugar on the rim. 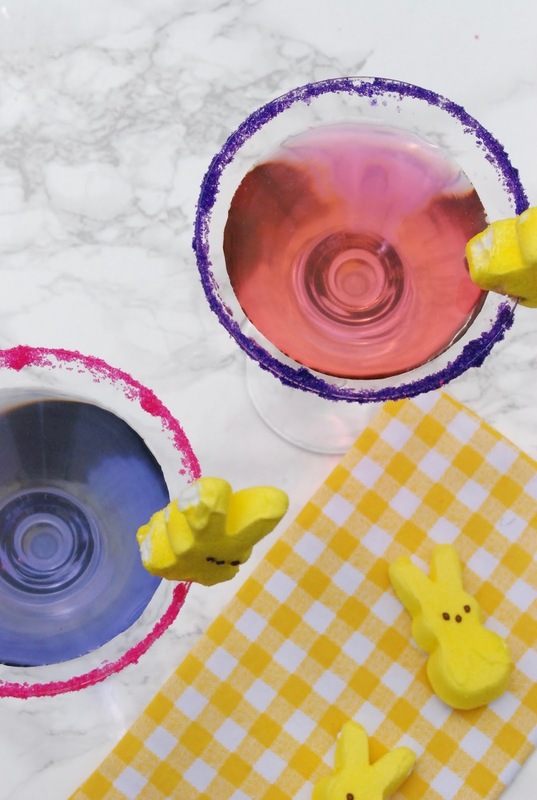 If you really want to wow your guests and make it super Easter-y, add a few drops of food coloring into the glass. It'll give you the fun colors of Peeps. To finish it off, garnish with a Peep! I tried this recipe myself and it was delicious! Not only does it look super fancy, but the recipe is pretty and tasty. 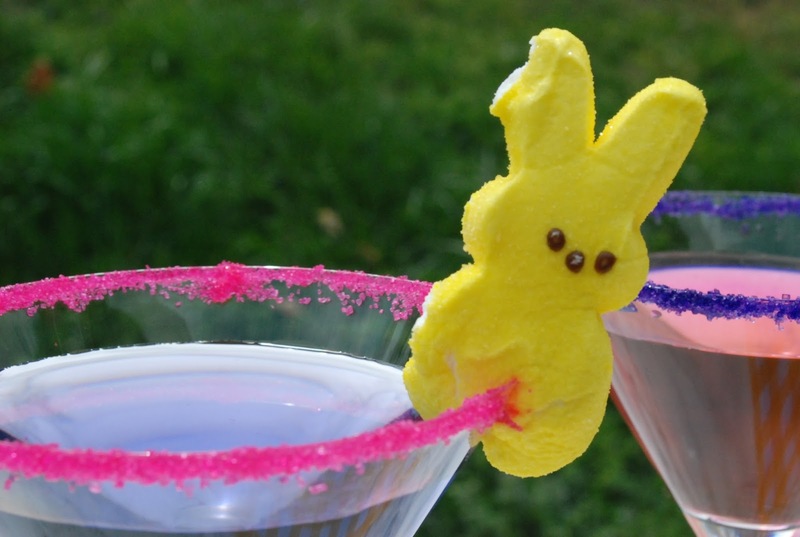 I hope you enjoy my twist on the Peep martini! Cheers!